Can Uterine Transplants Make It Possible for Trans Women to Give Birth? Brazilian doctors are reporting the first successful pregnancy of a woman with a uterus transplanted from a deceased donor. While 11 women have given birth successfully using a uterus from a living donor, ten previous attempts to use the uterus of a deceased donor have failed in the U.S., Czech Republic, and Turkey. Dr. Dani Ejzenberg, the transplant team’s lead doctor at the University of Sao Paulo School of Medicine, is currently involved in two more similar cases to see if the procedure will replicate for other hopeful mothers. Twelve months ago, a healthy baby girl was born to an unnamed 32-year-old psychologist who was born without a uterus due to a rare syndrome. The donee received the uterus of a 45-year-old mother of three who had recently died from a stroke. Seven months following the transplant, the recipient became pregnant and roughly eight months later, she gave birth via C-section, after which, doctors removed the patient’s womb, so she would no longer have to take anti-rejection medications. Initially the new mother was apprehensive about the procedure, but Dr. Ejzenberg says she now comes in to show the team how happy and healthy both she and her child are. "This was the most important thing in her life," Ejzenberg told NBC. "Now she comes in to show us the baby and she is so happy." There’s been hope that a uterine transplant could help trans women conceive, however there’s been scant research. Dr. Juno Obedin-Maliver, an assistant professor of obstetrics and gynecology at UCSF and a co-director of the PRIDE study, which looks at healthcare experiences for LGBTQ+ individuals, shares cautious optimism about future prospects for trans women. “I think it’s a possibility,” she said by phone, before noting potential challenges that could inhibit the transplant’s efficacy on trans women. “Are there differences in anatomy that’s meaningful between the sexes, like vascular blood supply, pelvic shape, and abdominal carriage?” Obedin-Maliver asked. Potentially, but she still didn’t see these issues as insurmountable. For example, pelvic shape might be a potential barrier, but Obedin-Maliver noted that cis women have a range of pelvic shapes. Also, every child birthed from a uterine transplant has been delivered via C-section, making the issue moot since the child would not have to pass through the woman’s pelvis. While Obedin-Maliver was unaware of any researchers actively researching uterine transplants for trans women, there have already been ethical discussions surrounding the prospect. 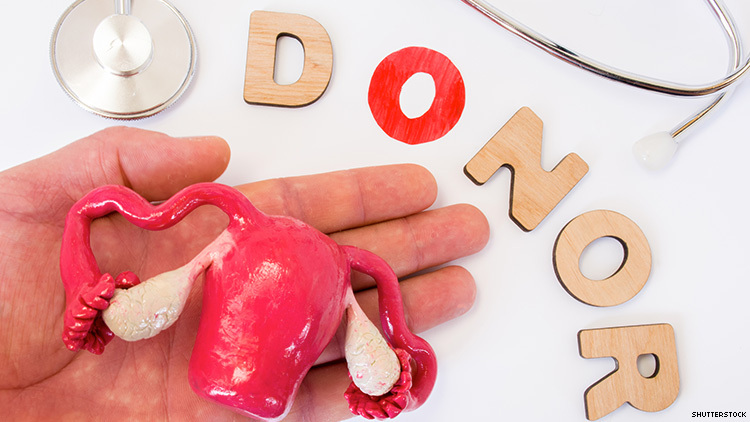 In a 2013 article published in Fertility and Sterility, Dr. Ariel Lefkowitz discussed the (lack of) ethical ramifications of uterine transplants for trans women. “It certainly bears mentioning that there does not seem to be a prima facie ethical reason to reject the idea of performing uterine transplant on a male or trans patient,” the bioethicist began. Nevertheless, uterine transplants are still considered an experimental treatment, with little medical exploration on how to make it work for a trans woman who wants to carry a child. It will likely take years before it’s possible for trans women to conceive from a transplant.